​Reports in Spain suggest ​Arsenal and ​Manchester United are locked in a two-horse race to sign ​Barcelona's Ousmane Dembele before Thursday's transfer deadline, despite the forward recently reiterating his commitment to the Catalan club. According to ​Mundo Deportivo, new Arsenal manager Unai Emery is keen to add the 21-year-old forward to his ranks in order to team him up with striker Pierre-Emerick Aubameyang and hopefully form one of the deadliest attacking lineups in the ​Premier League. Dembele has recently been pictured with Arsenal stars Aubameyang, Alexandre Lacazette and Henrikh Mkhitaryan on Instagram, sending the internet into a frenzy with rumours that the Gunners could be about to complete one of the biggest deals of the summer. Meanwhile, a potential move by Manchester United for Dembele's signature hinges largely upon the future of the forward's compatriot Anthony Martial, who could yet leave the club before the transfer deadline passes. Dembele only joined Barcelona last summer for €105m, with another €40m potentially coming in additional fees. However, the attacker's first season was beset by injuries, preventing the French international from discovering his best form as he did the previous season with ​Borussia Dortmund. 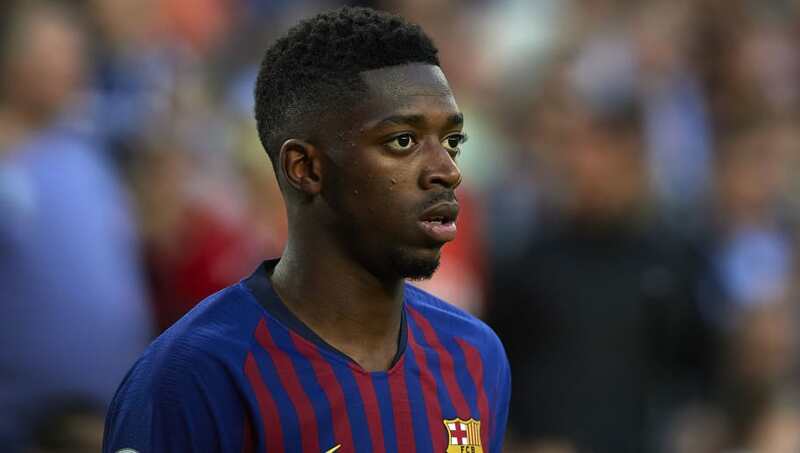 However, in what is a blow for both Arsenal and United, Dembele recently pledged his future to the ​La Liga champions, telling FM_Guru's live 'Twitch' broadcast as quoted by ​Marca: "I'm staying at Barcelona and I'm ready to play the Spanish Super Cup." Dembele was also included in France's 23-man squad for this summer's World Cup, taking home a winner's medal despite being outshone by the likes of Kylian Mbappe and Antoine Griezmann.